Just beat New Mexico 1-0. Looks like the same old offense from the last few years. Offense today was pretty bad. However, the pitching staff allowed only two walks total(1 hbp) in two games. Last year hitting was bad but too many walks hurt us also. With 5 pitchers its going to be interesting how the staff shapes up. Especially in a 3 game series. As long as Murphy is the "Hitting Coach", the girls are on their own. The arrogant fu$k should hire a hitting coach. Stickied. 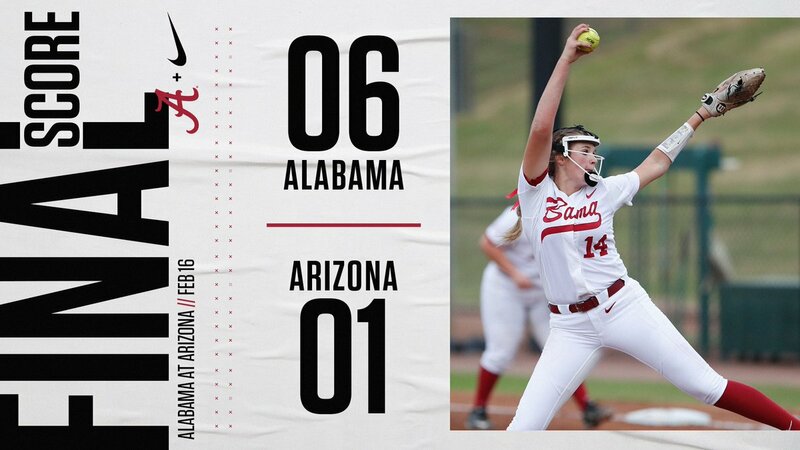 Still working out the kinks but if you wouldn’t mind change the title to 2019 Alabama Softball Thread. Thanks to yall for getting this thread stickied, hope it last deep into the postseason. This. The game has evolved and he hasn’t. He needs to quit resting on his laurels or GTFO. 5 to 1 now in 6th. We've actually done decent against their pitcher . I think they have 4 errors though. Hope we can hold on. Fouts has been spoken of as the most talented pitcher since Jackie Traina...she might end up even better. Love Bama softball!